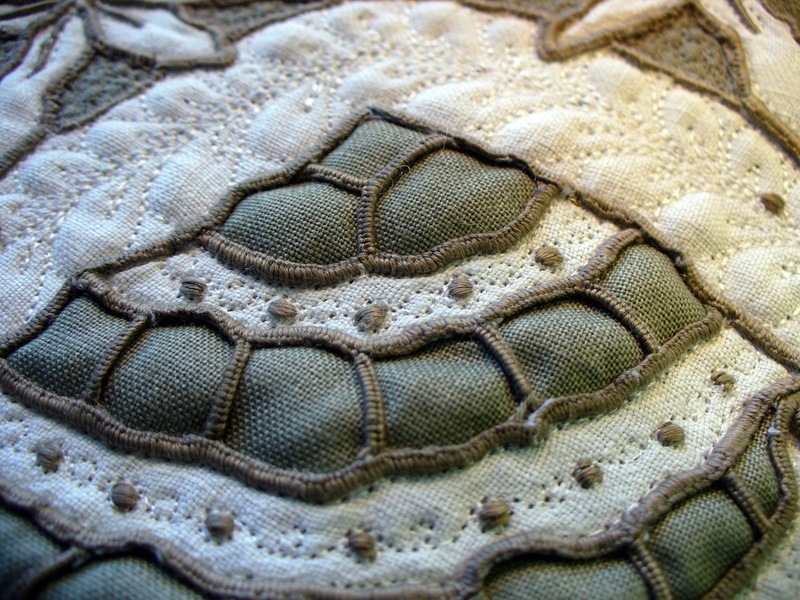 Cindy Needham: Back from Road to California...New Stuff Started! Back from Road to California...New Stuff Started! 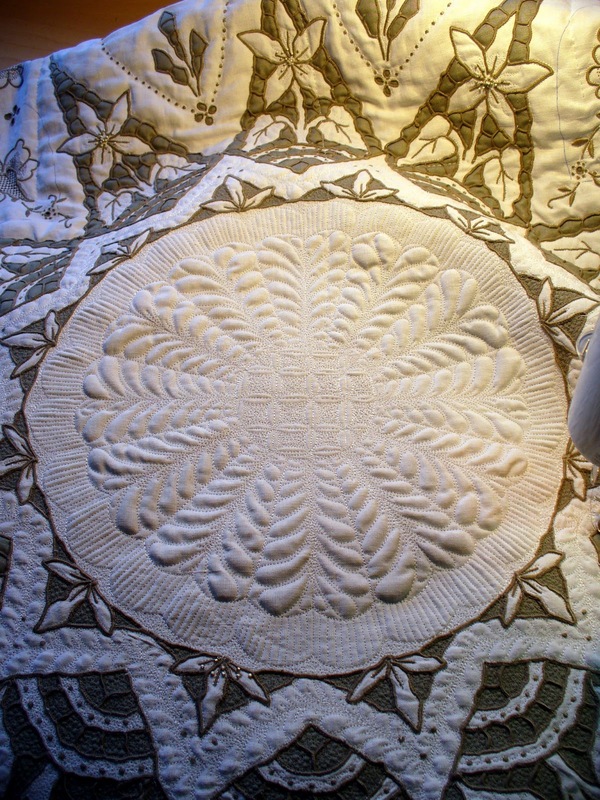 The Road to California quilt show in Ontario, California has always been one of my favorites. Whether I'm teaching or working in the Superior Threads booth I love meeting up with old friends, checking out the amazing quilts and of course checking out the vendors! I had five full classes and was in the classroom from 7:30 am - 6 pm every day so there was very little time to see the show or shop but I managed to squeeze in a few precious moments. 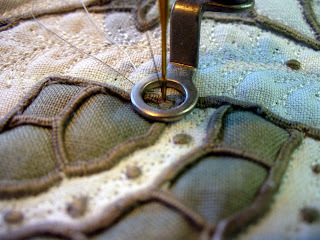 I am home with my feet on the ground for about three weeks and am keeping a full schedule here at home to take advantage of some well deserved time at my sewing machine. This will be my longest stretch for the remainder of the year and with two featured exhibits coming up I'm taking full advantage of my time. 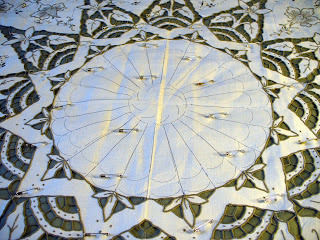 Progress on the star wholecloth linen is painfully slow. Tight filler backgrounds take hours to do. I had a question in my Road class about how to tack down the stitching around cutwork and thought I would share it here with you. I stitch around the outside of ALL of the embroidery to make it pop and to nail it down. 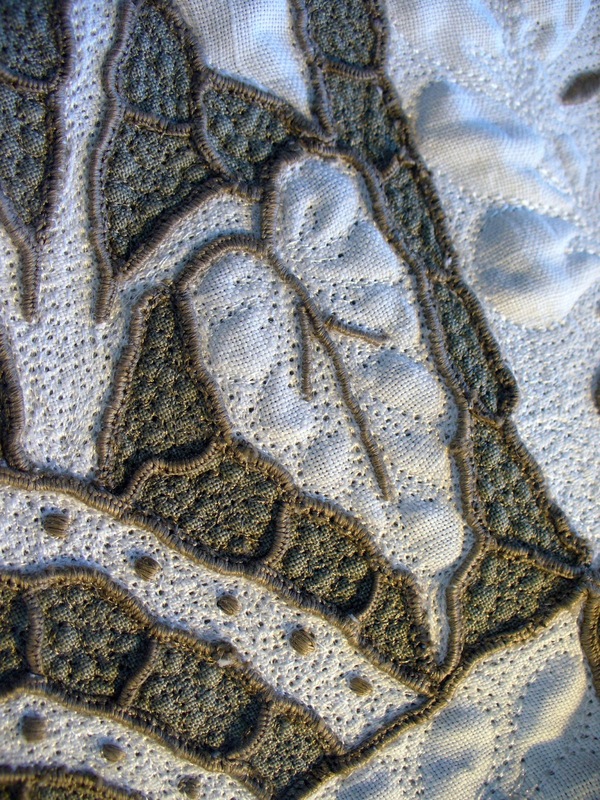 When I do that, the inside stitching around cutwork tends to roll up and be awkward looking. With a matching thread I stitch this down...it's a slow tedious process but well worth it. Once this is stitched I quilt my filler background...in this case it is little pebbles. I try to leave the bridgework "floating" as much as possible and not hit it with any quilting stitches. 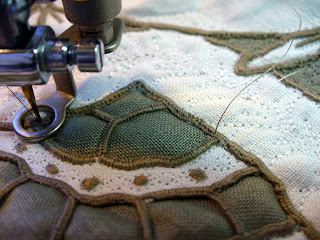 I am filling in each leaf with pretty free-form feathers... and filling the flowers with beads. 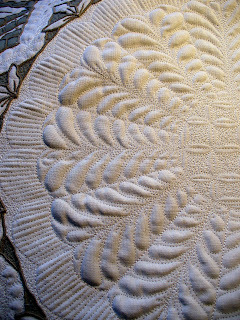 The inside medallion was supposed to have a beautiful crocheted star doily beaded over the top of it but the crocheted piece never arrived...my first bad experience with Ebay. sigh. Had to go shopping again and am hoping to receive a 6" tatted piece. 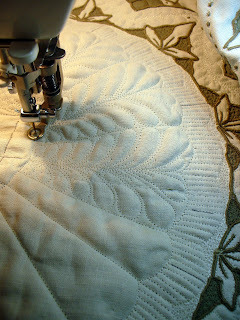 I have quilted the middle fan medallion with feathers and repetitive lines and once the tatted piece is received I will place it on top and then embellish it with beadwork. 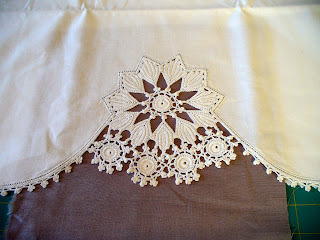 While I was at Road, one of my favorite blog readers, Vicki Crooms, was able to attend my linen workshop. You may better remember her for her post on the "Nekkid Barbies" last year. She is as funny in person as she was on her post. 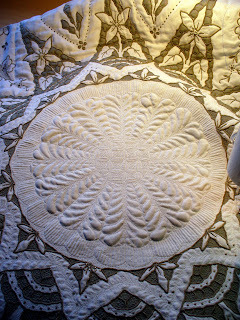 She gifted me with a fabulous pillowcase with a gorgeous crocheted star at the bottom. She felt it resembled my logo and bought it for me. 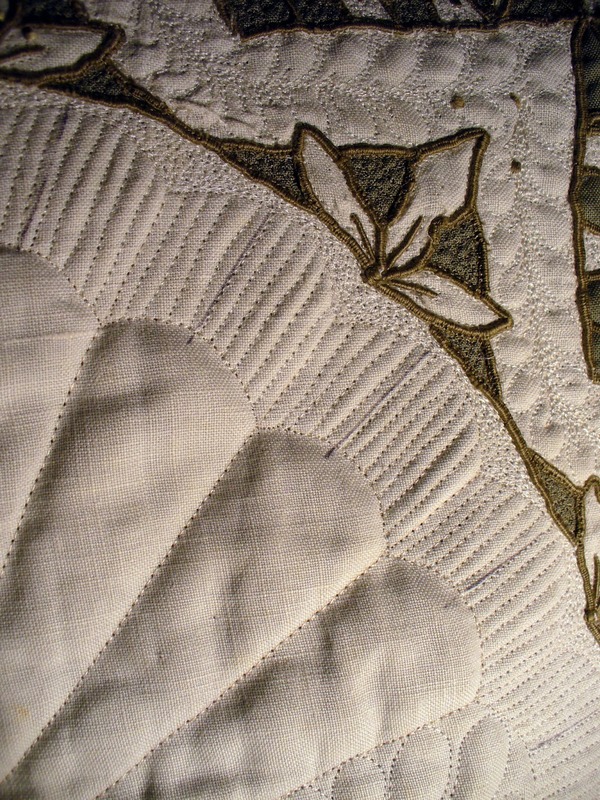 I have been in need of an updated pillowcase linen quilt so am working on this right away to have it done for the exhibits. A few years ago I came across a pretty Morning Glory design in one of my books and have been itching to use it on something for ME. I enlarged it, copied it many times to get it the length and width I wanted. 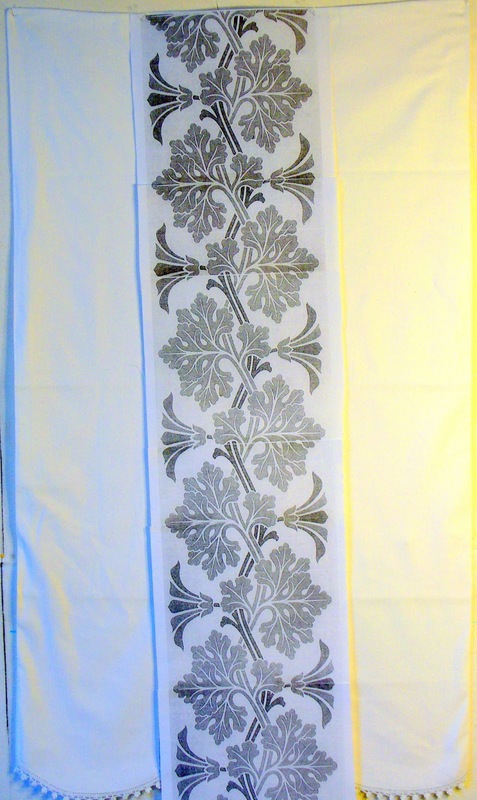 I will be putting the full design straight down the middle and will put half of the design on either side. 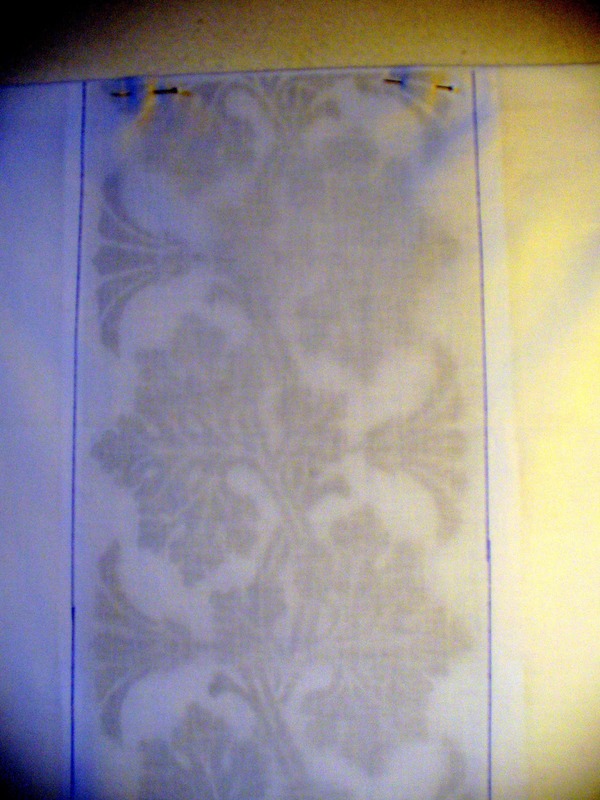 These photos show how I have put the copied design inside the pillowcase so I can trace it thru to the front. I also want to put a colored fabric underneath the crocheted star so it shows up...still not quite sure how I'm going to pull it off...more on that later! 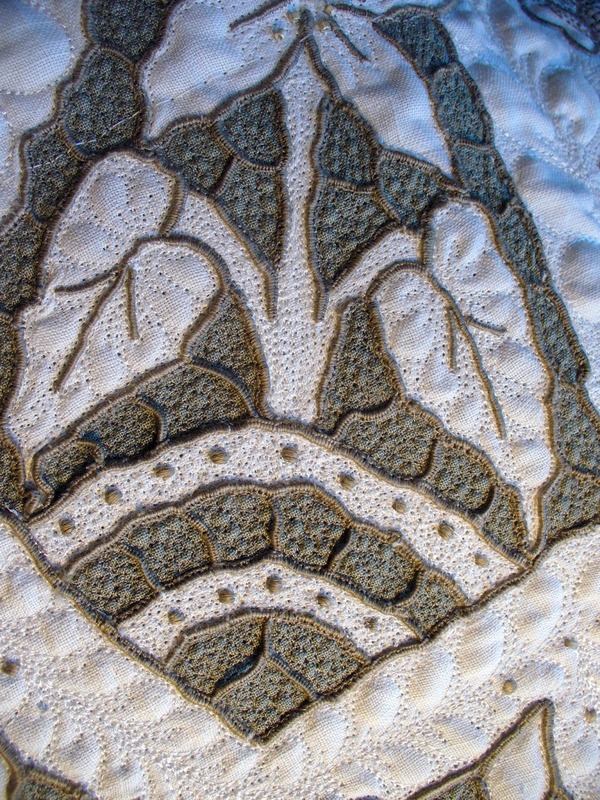 Thank you Vicki for such a fabulous gift! Wow - so many photos! 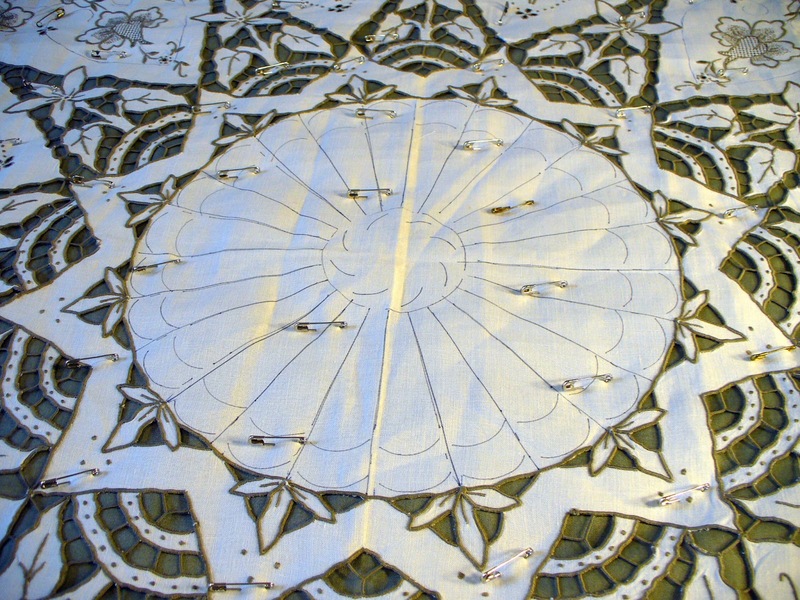 The star linen is going to be beautiful. Can't wait to see it with the tatted middle. 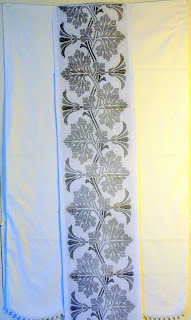 And what a great pillowcase - It's going to be lovely. Is it finished yet? 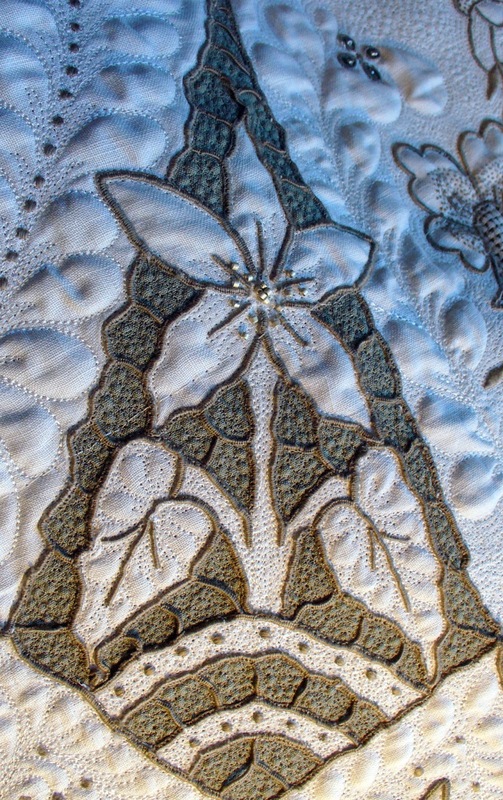 The middle design is intriguing. I can't wait to see the result. I am enjoying your craftsy class.